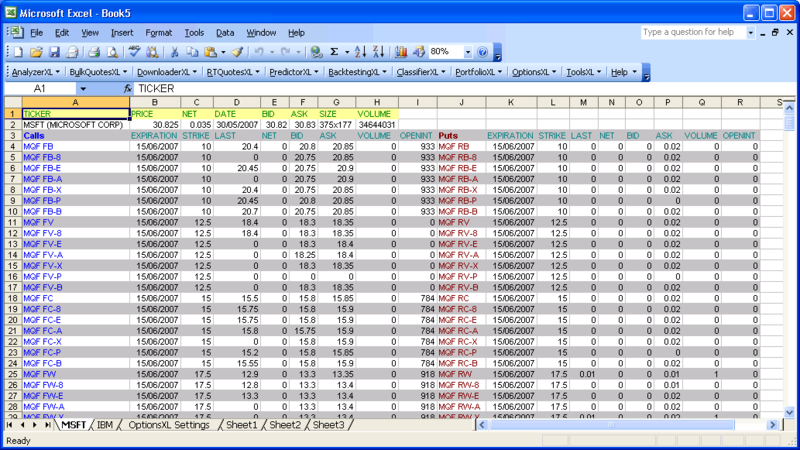 Options Excel, part of Trader Excel Package , is an option chains and LEAPS series downloader for Microsoft Excel. 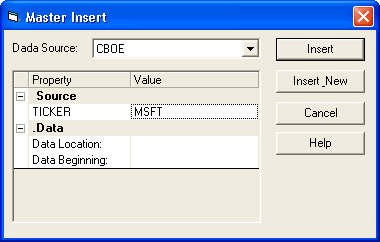 It downloads chains for options traded on these exchanges: CBOE (Chicago Board Options Exchange), AMEX (American Stock Exchange), PHLX (Philadelphia Stock Exchange), PCX or PSE (Pacific Stock Exchange), ISE (International Securities Exchange)..
Options Excel does not have any options analysis features. Our product, Visual Options Analyzer , provides a full suite of options analysis tools. Free 15-minutes delayed option prices for almost all USA options from CBOE.